“Teamwork is that fuel which helps common people produce uncommon results” and Amar is an ardent believer of it. Amar is an Information Technology and Management graduate student at IIT Chicago who has worked in myriad positions of great responsibility. 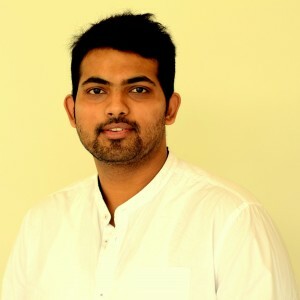 He had worked, with panache, as the ‘Organizer’ of various workshops in his undergraduate college in India, as the ‘Chairman’ of the Computer Society of India (CSI-RAIT) chapter and as the Vice President for TEDxIIT 2016. These events helped hone his leadership skills and also underscored his time management and teamwork skills. He takes the charge of planning the events and then motivating his teams to ensure that the events are executed in an organized manner. All these myriad activities have honed his interpersonal skills and he is now more prepared to meet with challenges of life. Management, Teamwork and Self Motivation. Sketching, Cooking and Making new Friends.